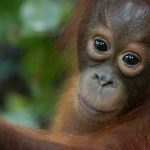 The single greatest threat facing orangutans today is habitat loss. The average annual rate of forest loss in Indonesia was 498,000 hectare (ha)&nbsp; (FAO, 2010) from 2000 to 2010 or the equivalent of over 55 rugby fields per hour. The expanding palm oil industry has been a key driver of this deforestation.&nbsp; In the decade to 2010, Indonesian plantation area nearly doubled to close to 8.0 million ha and is expected to near 13 million ha by 2020 (PWC, 2012). 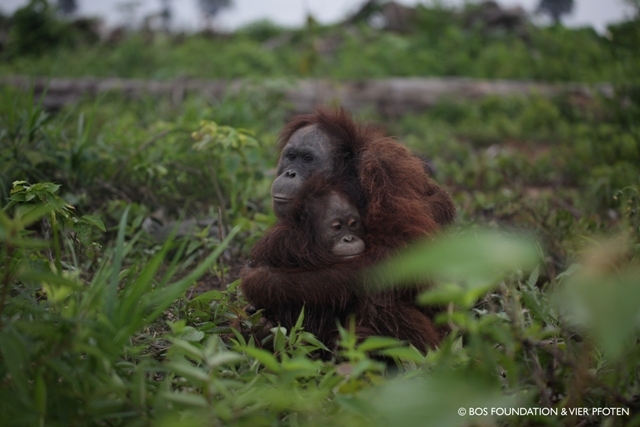 The BOS Foundation sees the result of the palm oil industry expansion on a daily basis. 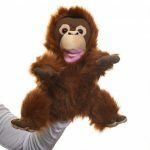 It rescues and releases orangutans displaced from their natural habitat. Those not able to be immediately trans-located are cared for at centres in Central and East Kalimantan. BOS relies on donations to fund the care and reintroduction of these orangutans to areas of safe, secure natural habitat. The Guardian provides an informative and interactive link on the story of palm oil. Today palm oil accounts for 35% of world edible vegetable oil production (USDA, 2013) with 85% of this sourced from Indonesia and Malaysia. The majority of palm oil (about 80%) is used in the food industry either as a vegetable oil or embedded in other ingredients. It can be found in many processed foods including ice cream, chocolate, chips, cereals, frozen foods, margarine, baked goods (biscuits, cakes and breads) and even fruit juice.&nbsp; It may appear on labels as vegetable oil or be even less visible as a component of other ingredients. Around 2% is used as a feedstock for biofuels (Net Balance Foundation, 2013). BOS Australia has put together a list of palm oil free products to assist you in making an informed decision. Is there such a thing as sustainable palm oil? Yes – about 14% of palm oil production is now certified sustainable palm oil (CSPO).&nbsp; This oil has been produced according to a set of environmental and social criteria designed to ensure the rights of local communities are respected and that no new primary forests or high conservation value areas have been cleared for palm oil production since November 2005.
des for the buyer to pay a premium to the CSPO producer but continue to buy non-certified palm oil. Take up of CSPO has been disappointingly slow with only about 50% of the certified sustainable palm oil sold. Examples of Australian manufacturers using certified sustainable palm oil currently are few and far between. The Roundtable on Sustainable Palm Oil (RSPO) consumer guide lists Robern Menz Choc Honeycomb confectionery and Carotino Classic Canola&nbsp; &amp; Red Palm Oil and Mild and Light oils as the only Australian products using fully segregated certified palm oil as of December 2012. A number of major retailers and manufacturers have committed to moving to CSPO by 2015 including Coles and Woolworths (in all Coles and Woolworths branded products), Unilever, Arnotts and Nestle. Goodman Fielder has stated it will be moving to Mass Balance sourcing from the beginning of 2014. 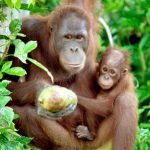 Some manufacturers source palm oil from areas other than Indonesia and Malaysia and thus do not impact on orangutan habitat. We are unable to comment on any environmental impacts in the source countries. * Manufacturers may claim to be using sustainable palm oil because they are members of, or supplied by members of, the RSPO. However, this in itself is no guarantee as members only need commit to working towards producing a sustainable product. * Producers may have some facilities which are supplying certified sustainable palm oil but others which do not fit the criteria. Not all their oil will therefore be sustainable. 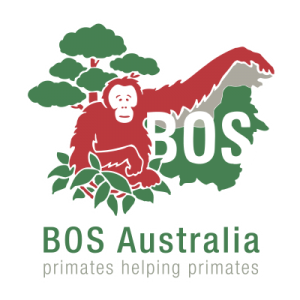 BOS Australia’s palm oil policy supports the use of identity preserved and segregated certified sustainable palm oil. 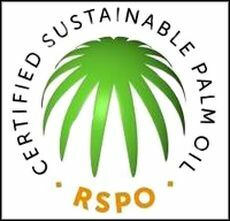 We believe its adoption is achievable in the Australian market if sufficient consumer pressure is brought to bear.&nbsp; We acknowledge that the shift to sustainable production and the RSPO certification process is not without its issues but we believe it remains the most acceptable solution currently available. * Check the ingredients – if the product contains palm oil (usually labelled as vegetable oil or fat), check to see if it has the CSPO logo or contact the manufacturer to get details on the oil’s source. If it’s not CSPO, seek an alternative&nbsp;product and let the manufacturer know why you’ve chosen not to buy the product. * Our palm oil free product list may help you in your buying decisions. * Inform your family, friends and colleagues of the issue.